Srinagar, March 27: Army Chief General Bipin Rawat on Monday lauded the stellar role played by the Rashtriya Rifles in restoring and preserving peace in Jammu and Kashmir while chairing the eleventh Rashtriya Rifles Biennial Conference which is being conducted at Nagrota. 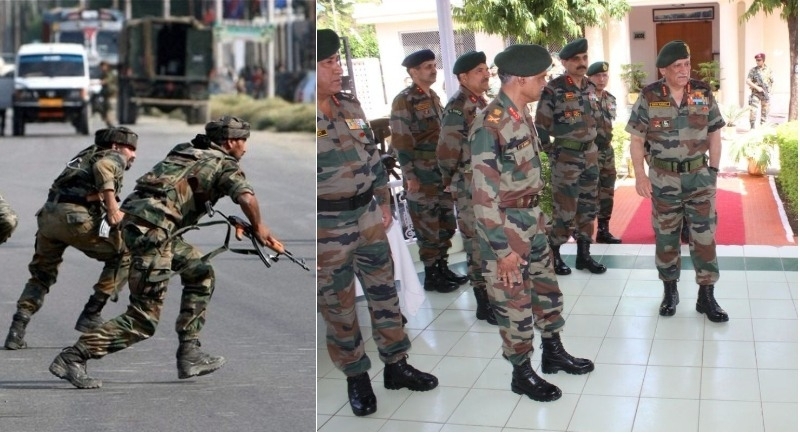 Army Chief General Bipin Rawat while addressing the event lauded the stellar role played by the Rashtriya Rifles in restoring and preserving peace in Jammu and Kashmir and extolled its contribution towards the inclusive development of the state and in nation-building. He outlined the present and future focus of operations aimed towards neutralizing terrorists through clean and people friendly operations. He further emphasized upon the need for avoiding collateral damage and ensuring the dignity and human rights of the Awam at all times. The Army Chief also appreciated the role being played by the Rashtriya Rifles battalion in the counter-infiltration role. The Rashtriya Rifles has assisted the locals from inaccessible and far-flung areas of the state by providing assistance in diverse fields and has given an impetus to development, growth, education, women empowerment, skill development and communal harmony through its multifarious enabling civil action programs. Importantly, the eleventh Rashtriya Rifles Biennial Conference is being conducted at Nagrota which was chaired by Chief of the Army Staff and many other officers including Army Commander Northern Command, Director General Rashtriya Rifles, Corps Commander 15 and 16 Corps attended the event.